Whether it's actually winter in Glendale while you're reading this or not, it's never really too late or too early to start making preparations for springtime. New blinds will be perfect once the sun starts shining, and the winter months are a great time to take care of some projects around the home. So, don’t delay - it’s time to decide where your new shades will go, and what designs to choose. How a room uses natural light makes a huge difference to how it feels to stay inside it. Kitchens and home offices benefit enormously from coverings that allow as much light in as possible, while living rooms and bedrooms should often feel snug and cozy. Decide which rooms you want to fit new window coverings to; focusing on a few areas is a great way to ensure you get the most benefit out of your new custom made shades. There's a huge variety of options to choose from. From vinyl vertical blinds to bamboo roller shades. There's also a range of materials available, such as aluminum and wood, real or faux. Different designs will work better in different rooms; a living room with large windows might suit wooden blinds, while a bathroom might be better off with a small pleated Roman shade. Modern technology has brought the convenience of motorized window treatments to an amazing point. These systems are now available in an enormous range of designs to suit every home, and are almost as easy to install as hand-drawn coverings. With market-leading Somfy products available, the options are very extensive, ranging from smartphone control to automatic adjustments made by sunlight sensors. Before you decide which coverings are right for you, consider investing a little extra in some modern convenience and going with motorized shades. When you know what you’re looking for, it’s the perfect time to talk to one of our representatives. A key part of our personal approach is providing free no-obligation consultations at your home, where one of the experts from Glendale Blinds & Shades will show you our range of products and answer any questions you may have. Get in touch with us today to book an appointment. 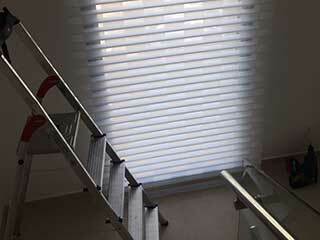 Our team offers high quality blinds & shades that are custom made to match the dimensions of every customer's windows. 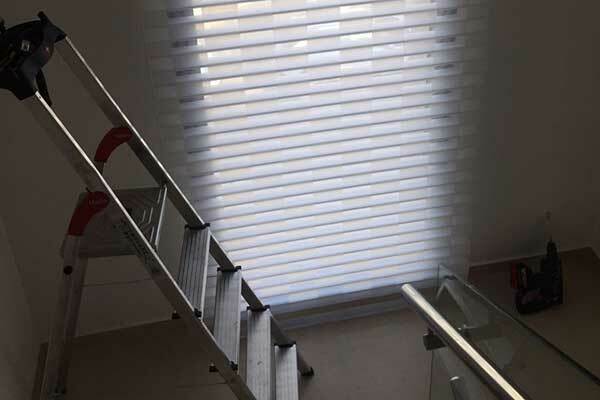 Whether you're looking for new motorized blinds for your living room or pleated Roman shades for your office, you'll be hard pressed to find better quality products for such low and affordable prices. Browse the rest of our website to learn more about our high quality window coverings. Thank you for choosing Glendale Blinds & Shades! Feel free to browse our website for more useful information until our appointment!